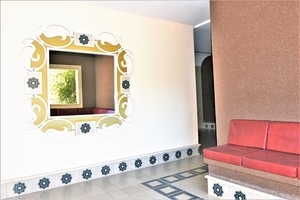 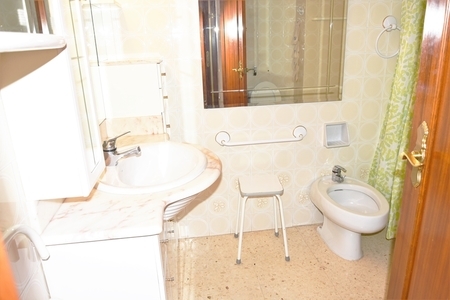 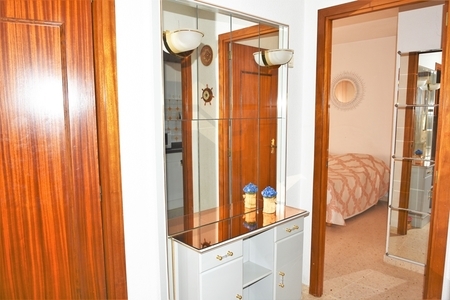 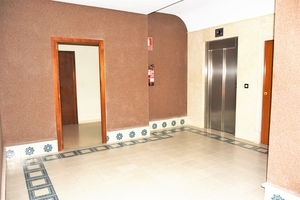 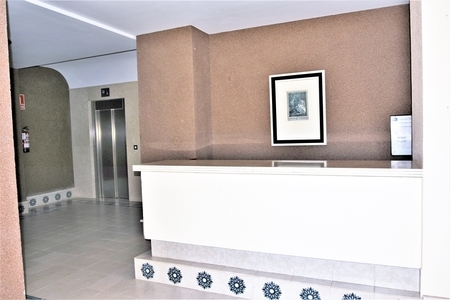 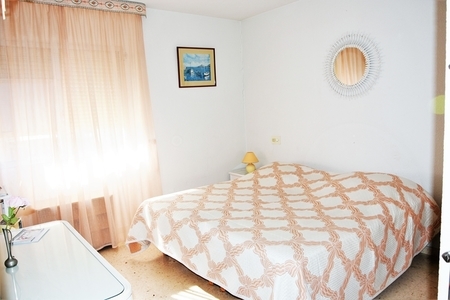 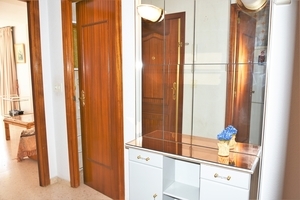 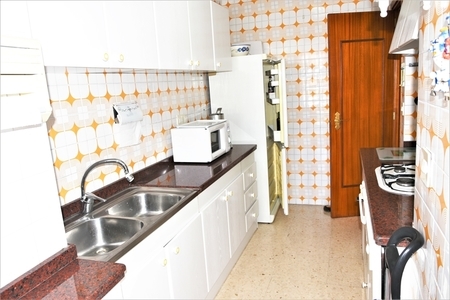 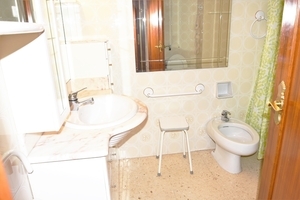 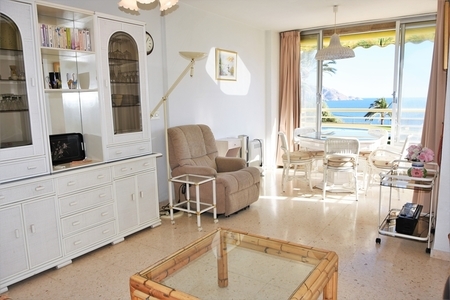 This beautiful furnished apartment is located just 1 minute walk away and secondline from the Poniente Beach in Benidorm nearby all amenities. 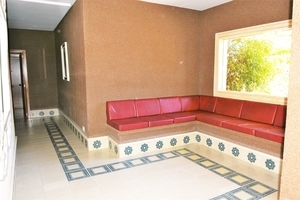 The apartment has a bright living room, 2 bedrooms, 1 shower room, and a separate fitted & equipped kitchen. 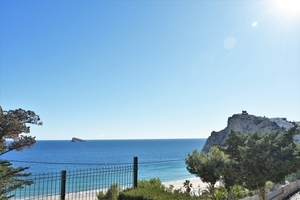 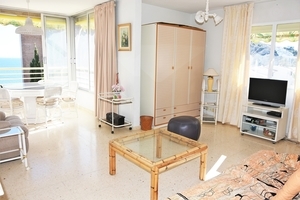 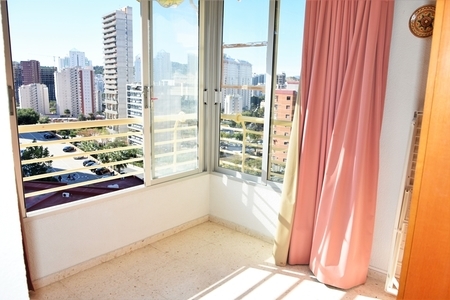 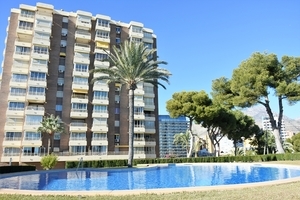 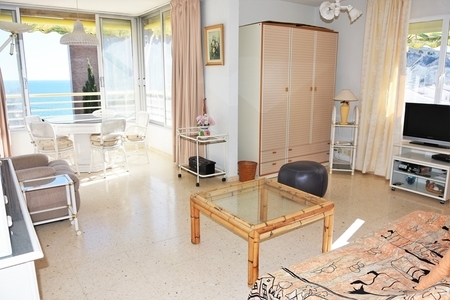 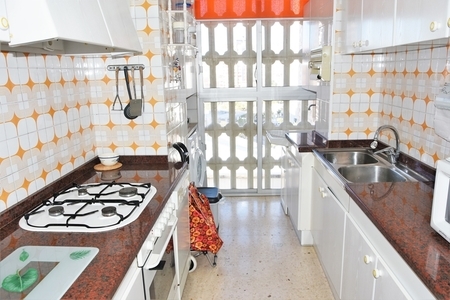 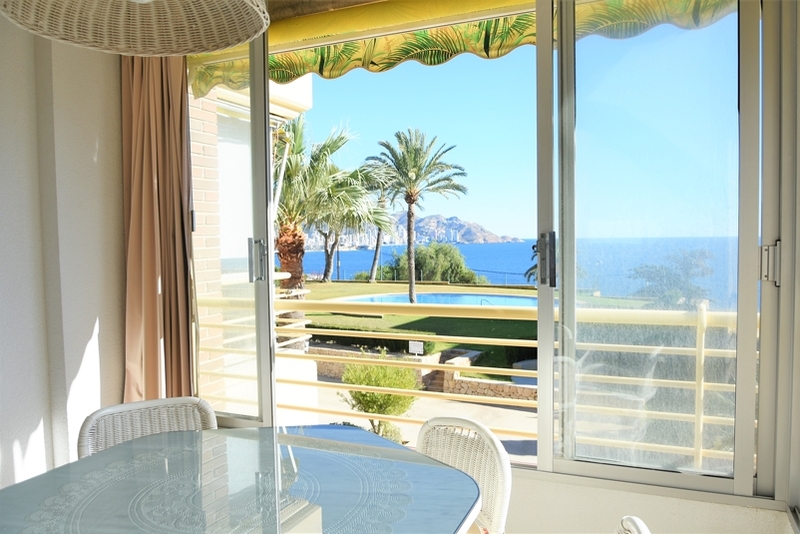 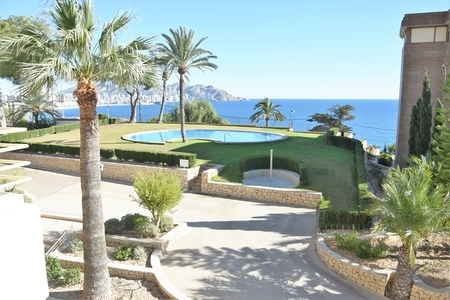 The terrace offers excellent unobstructed sea views to the beach and the island of Benidorm. 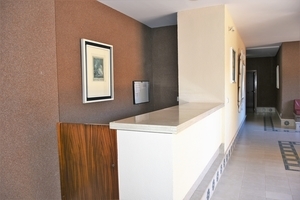 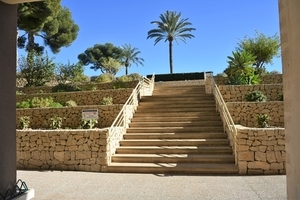 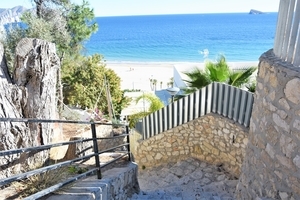 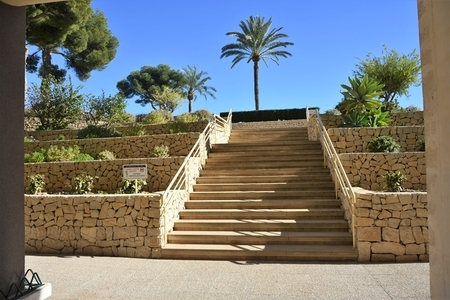 It is possible to access the beach through a gentle stair that is located right in front of the development. 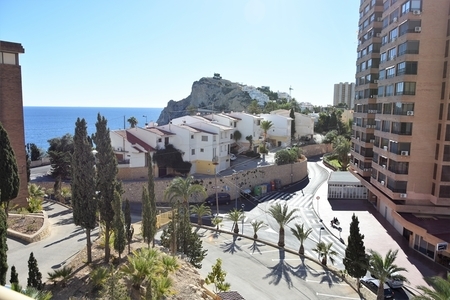 It’s a small and lovely neighborhood in a nice quiet area where one can enjoy the beach and the beautiful seaside boulevard that is extremely popular among running lovers. The development offers concierge service, a communal swimming pool, beautiful an ample gardens and also uncovered parking space inside the urbanization. Supermarkets, pharmacies, a post office, public transport stops (bus, taxi), and a variety of cafes and restaurants are within easy walking distance. Contact us to organize a visit to this beautiful home.